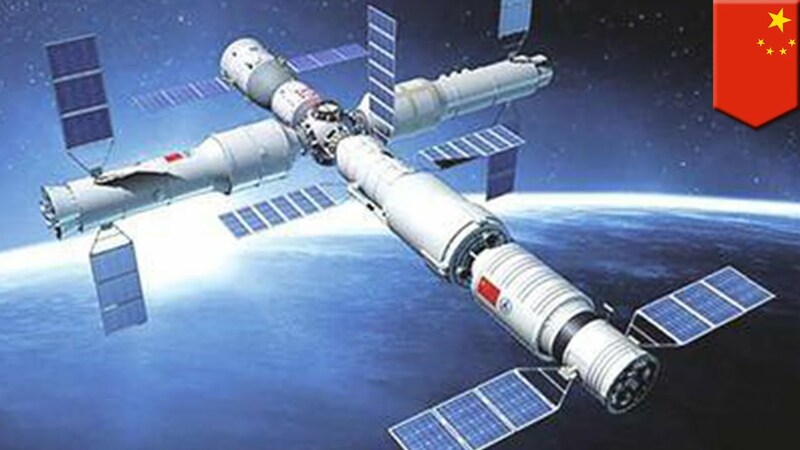 Last year China cemented itself as a space exploration powerhouse by firing its space laboratory Tiangong 2 into low Earth orbit, becoming only the third nation, after the US and Russia, to independently get people into space. The nation has also has had dozens of suspected-paranormal encounters including claims of a UFO sighting over the Great Wall of China last week. Now the emboldened ‘space superpower’ has vowed it will be the first to make contact with alien life pouring billions of pounds into space exploration and the world’s largest radio dish to detect signals from other galaxies. Speaking about the Tiangong 2 mission President Xi Jinping, said that the project would “enable China to take larger and further steps in space exploration, and make new contributions to building up China as a space power”. The 500-metre Aperture Spherical Telescope (FAST) is almost twice as wide as the America’s Arecibo Observatory in Puerto Rico, making it the largest in the world, if not the universe. Liu Cixin, one China’s top researchers into alien life, described the dish as looking “like something out of science fiction”. But Mr Liu, who has written a great deal about the risks of the first contact, warns that the “appearance of this Other” might be imminent and could result in our extinction. In one of his books, he said: “Perhaps in ten thousand years, the starry sky that humankind gazes upon will remain empty and silent. Other leading experts into Alien Life including astrophysicist Andrew Siemion, the director of the Search for extraterrestrial intelligence (SETI) research centre at Berkley University have also been impressed by FAST. Radio transmissions are forbidden near the dish in a bid to stop human sources interfering with any signals coming from alien sources. China’s latest five-year plan pledges to increase spending on research and development to £913billion ($1.2trillion)—at least 2.5 per cent of its gross domestic product – with deep Space exploration at the forefront. 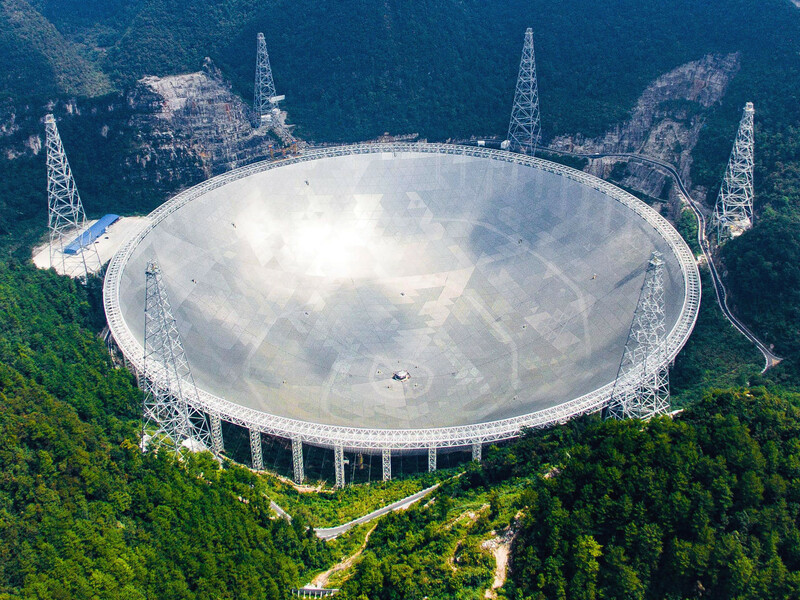 The plan was adopted in March 2016 and will see it through to 2020 and this latest radio observatory is not going to be China’s last as the country reportedly plans to put one on the dark side of the moon. These latest development follow an investigation into mysterious “UFO-like” pieces of metals fell from the sky and blasted into the ground near several villages in central China. The pieces created large burning creators which baffled scientists. A villager called Mr Zhang told local media that there was a “deep noise” from the sky at around 1pm on the day. He said he then saw something rapidly falling towards the mountain. Videos of bizarre portals and floating cities in the skies above China have also repeatedly been shared online further fuelling the nation’s fascination with the paranormal.